Beatles Photo Archive Classic Rock And Roll photography by Chris Walter for Media use in publications, TV, Film, Album Design and online. Photo Caption: Beatles 1967 Fans and the bus on a grey day at start of Magical Mystery Tour at The Royal Hotel in Teignmouth, Devon 12th September 1967. 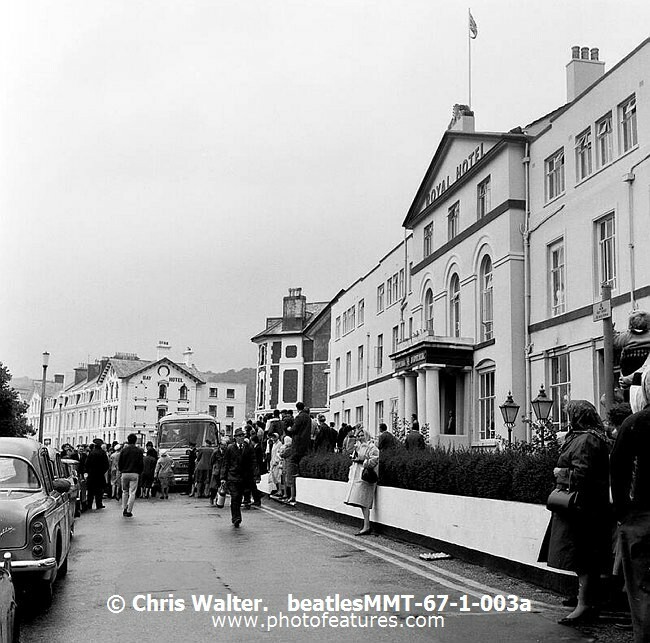 Beatles 1967 Fans and the bus on a grey day at start of Magical Mystery Tour at The Royal Hotel in Teignmouth, Devon 12th September 1967.